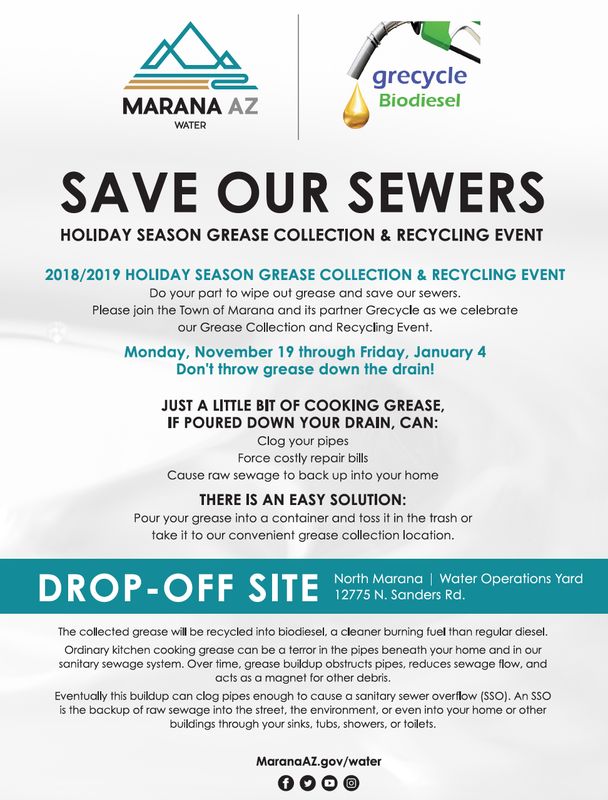 The Town of Marana is doing their part to protect the local sewer systems by once again hosting a Holiday Season grease collection and recycling event. Just a little bit of cooking grease, if poured down the drain, can clog pipes, cause sewage to back up, and lead to costly repair bills. The Town will collect grease beginning on Monday, November 19 at the Marana Water Operations Yard at 12775 N. Sanders Road. The collection will conclude on Friday, January 4. The collected grease will be recycled into biodiesel.